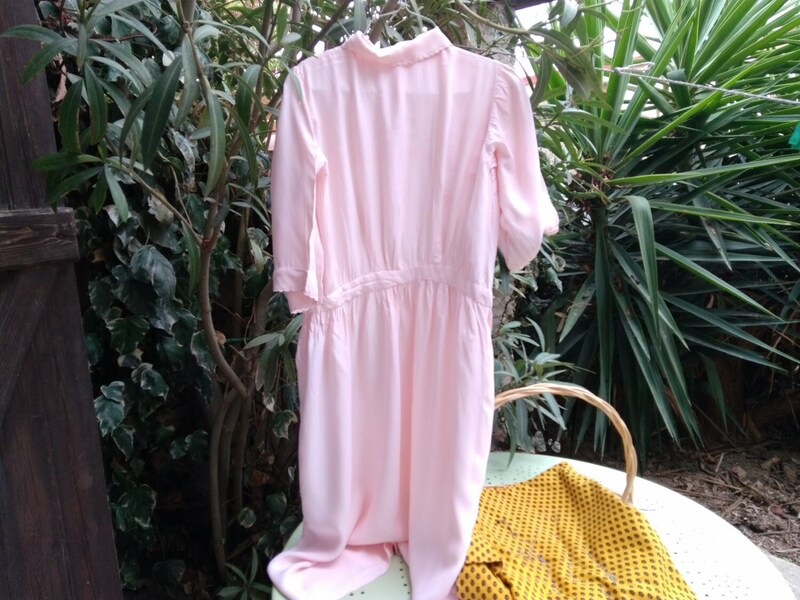 Romantic pink French Nylon nightgown. 1940's made. 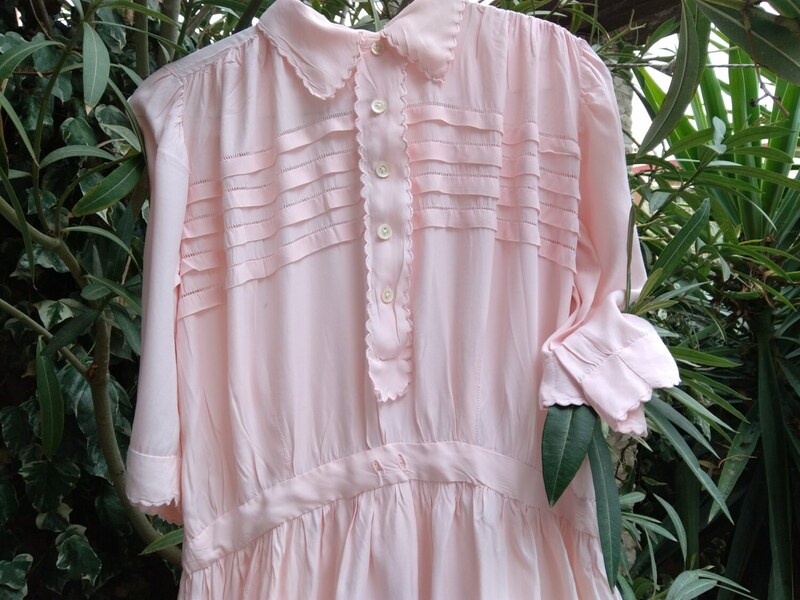 Vintage Sleep Dress . Lovely scallopped"colette"collar. 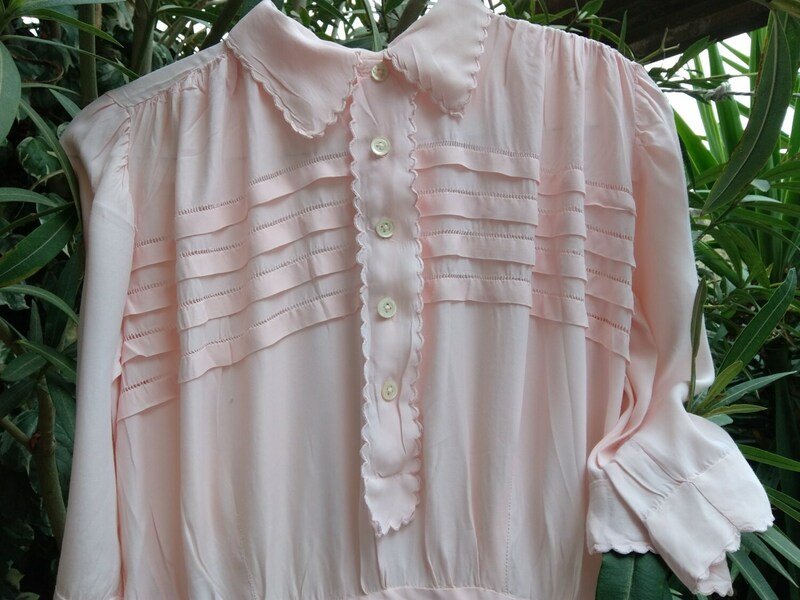 Front pleats with buttons closure. Good vintage condition, belt missing. 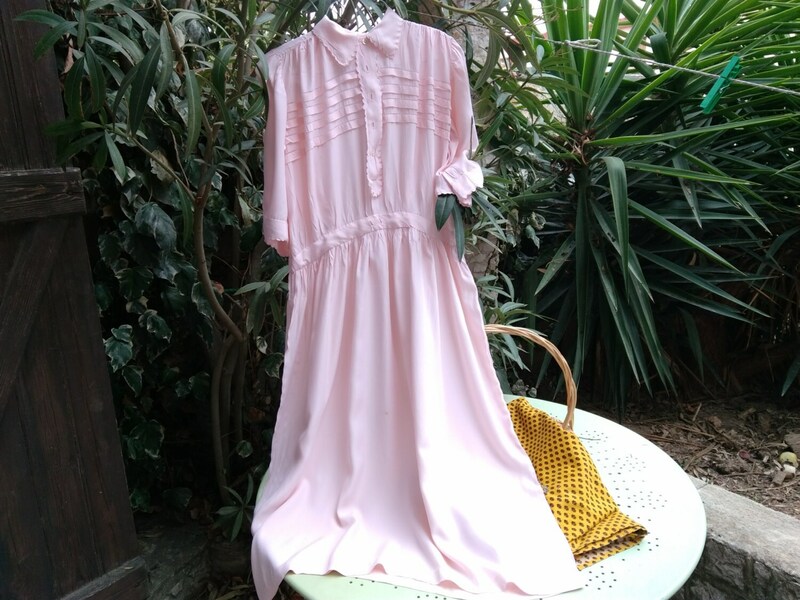 Beautiful Romantic Nylon Nightgown !